Balenciaga is really trying to transition crocs from the comfortable rubber shoes that 5-year-old and above can’t get enough of to a high fashion luxury item. The French fashion house had at first released the Croc platform at their Spring 2018 presentation, which many deemed totally ridiculous and uncomfortable. Now, their latest footwear offering, happens to be a pair of Croc stilettos inspired by Crocs. We can’t deny that the ultra-pointy rubber heel that comes in bright pink (think: Barbie) looks cool with its kitschy, Croc-inspired pins and colorful embellishments. 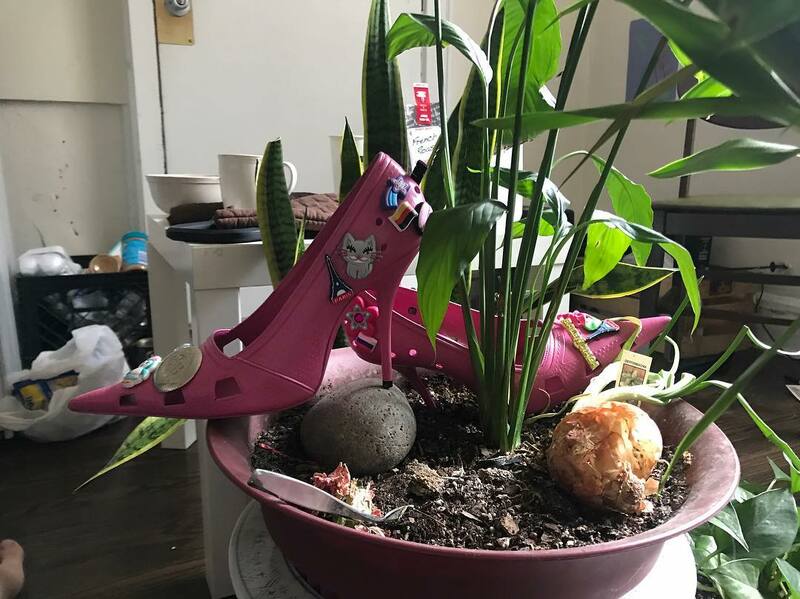 It’s unclear when exactly the shoes will be available for purchase, but Balenciaga shared a few shots of its new shoes to Instagram.